Computed tomography (CT) is a diagnostic procedure that uses special X-ray equipment to create cross-sectional pictures of your body. CT images are produced using X-ray technology and powerful computers. 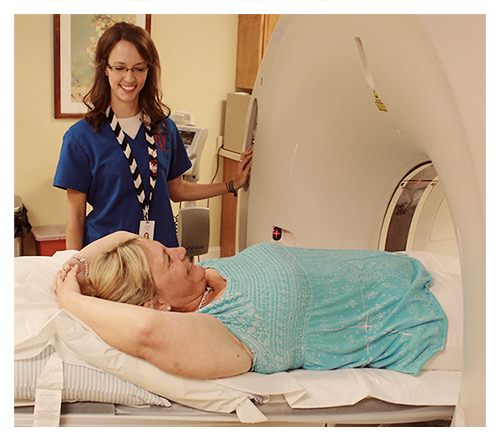 The uses of CT scans include looking for: Early detection of lung cancer, Broken bones, Cancers, Blood clots, Signs of heart disease, and Internal bleeding. During a CT scan, you lie still on a table. The table slowly passes through the center of a large X-ray machine. The test is painless. During some tests you may receive a contrast dye, which makes parts of your body show up better in the image.